After lots n lots of distractions, breakdowns, and other just crazy things happening, I was able to get a few things done in the shop. 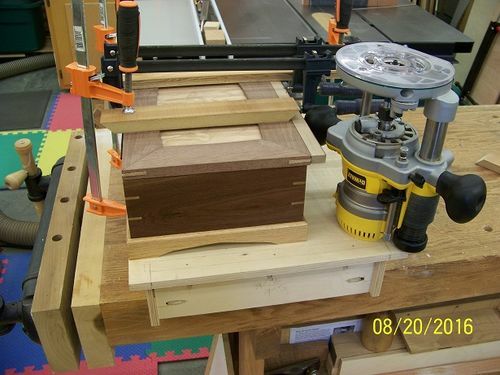 Both of these jewelry boxes are from American Woodworker magazine, issue #168 Oct/Nov 2013. Walnut & Oak with brown leather interior trays, and Ash & Walnut with red leather interior trays. Both center tops are bookmatched panels. Thanks for looking in. Any and all good/bad/ugly comments are, well, you know. Mighty nice Roger. Your color combinations are great. I like seeing all your tools and jigs and stuff. Glad to see your posts. Very nice Roger,they look amazing. Beautiful boxes Roger! In picture #2, with the lids up, that bookmatched walnut is gorgeous. I hope it looks as nice on the outside but just wasn’t caught in the right light. I don’t know if it was intentional but the grain of the ash lid frame seems to accentuate the curved shape. Any chance you have the Wood issue number? I’d like to look back at the article. 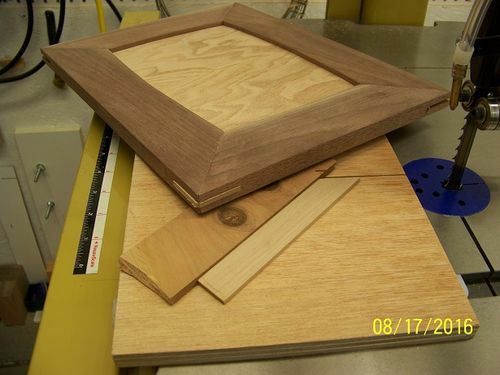 theses look great , i like the ash and walnut the best ,what is that clamped to in last pic ? Great colour and wood combinations and the lids with the inserts in curved frames make these boxes . I think those tray with dividers are probably more difficult than the boxes themselves. Those are two real beauties, Roger. Fine woodworking!!! Beautiful boxes Roger. I like how the piano hinge is shorter, centered on the lid. 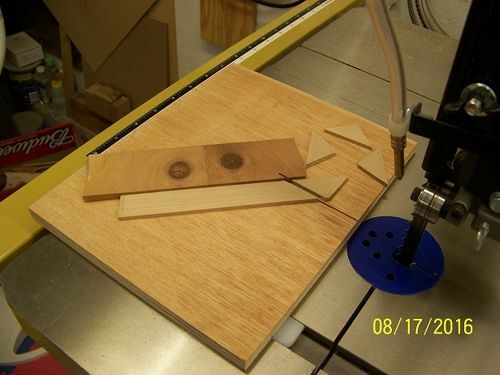 Good idea with the miter key jig. Great work Roger & well made. Solid work Roger. Nice looking boxes and very nice finish inside.